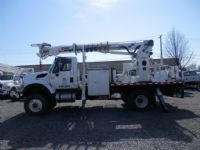 Click on the Photo or Title to view additional information. 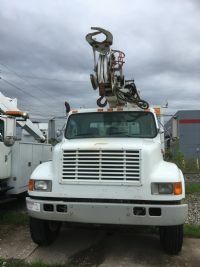 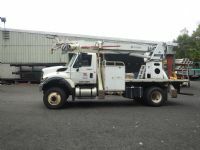 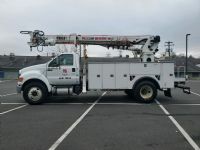 2010 International 7400 4x4 with a Diesel Engine and an Automatic Transmission with a Pitman P50-4T, Insulated, 50' Sheave Height Digger Derrick. 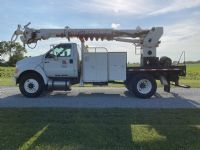 2014 International 4x4 with a Diesel Engine and Automatic Transmission with a Versalift TMD50, 50' Sheave Height, Insulated Digger Derrick. 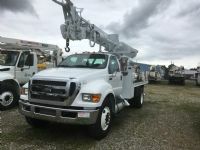 2015 Ford F-750 with a Cummins Diesel Engine and Automatic Transmission with a Versalift TMD50, 50' Sheave Height, Insulated Digger Derrick. 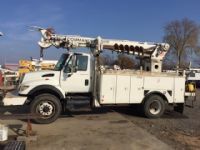 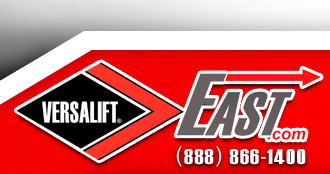 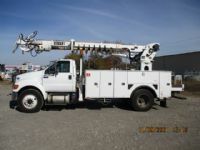 2015 Ford F-750 4x2 with a 6.7L Cummins Diesel Engine and an Automatic Transmission with a Versalift TMD-2050-T, Insulated, Telescoping, Center Mount Rider Seat, 50' Sheave Height Digger Derrick with a Capstan Drive and a Pole Rack. 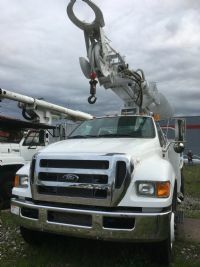 2015 Ford F-750 4x2 with a 6.7L Cummins Diesel Engine and an Automatic Transmission with a Versalift TMD-2050-T, Insulated, Telescoping, Rear Mount Rider Seat, 50' Sheave Height Digger Derrick with a Capstan Drive.